MACTAVISH, LETITIA (Hargrave), letterwriter; b. 1813 in Edinburgh, eldest of nine children of Dugald Mactavish and Letitia Lockhart; m. 8 Jan. 1840 James Hargrave*; d. 18 Sept. 1854 in Sault Ste Marie, Upper Canada. Letitia Mactavish spent most of her early life at Kilchrist House, the family home near Campbeltown, Scotland, where, as daughter of the sheriff of Argyllshire and granddaughter of the chief of the clan Tavish, she received a good education and the social training befitting her family’s position. The name of McTavish (Mactavish) was renowned in the fur trade of British North America. 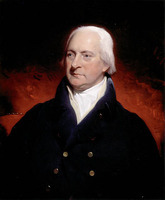 Simon McTavish*, one of the principal partners in the North West Company and a distant relative, took Letitia’s uncle John George McTavish* into the trade in 1798. After the union with the Hudson’s Bay Company in 1821, John George became an influential officer, and three of Letitia’s brothers, William*, Dugald*, and Hector, entered the HBC. William was posted to York Factory (Man.) 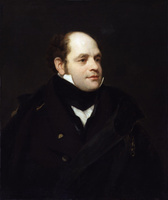 in 1834, under Chief Trader James Hargrave, and the two men became close friends. When Hargrave went to Scotland on furlough in the fall of 1837 he was warmly received at Kilchrist House. He was quickly convinced that he had found the ideal wife in Miss Mactavish but, before he had time to present his official suit, duty compelled him to return hastily to York Factory in March 1838. Both his proposal and Letitia’s acceptance were conveyed by mail and Hargrave returned to Scotland in the fall of 1839 for the marriage. After their January wedding the couple travelled in the spring of 1840 to London, where they were hospitably entertained by HBC governor George Simpson. 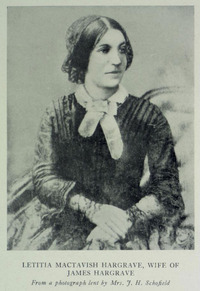 Letitia formed a lasting friendship with Simpson’s wife, Frances Ramsay Simpson, and her sister Isobel Graham Simpson*, the wife of Chief Factor Duncan Finlayson*. Between sightseeing and social engagements, Letitia selected furnishings, including “a 1st rate square piano, seasoned for any extremes of climate,” to add to the comfort of life at York Factory. The Hargraves sailed from Gravesend aboard the Prince Rupert on 6 June 1840, accompanied by Isobel Finlayson, and arrived at York Factory early in August. Although Letitia’s first reaction to the bleak expanse of the factory was “to turn my back to the company & cry myself sick,” her practical and optimistic nature enabled her to adapt readily to life on Hudson Bay. She wrote to her family as frequently as possible, describing her situation in lively detail. This unique collection of letters, written by one of the few white women living in the HBC territories in the 1840s, provides an intimate picture of the social life of the fur trade in the mid 19th century from a feminine point of view. Despite the drawbacks of life at York Factory, notably the unhealthy climate and the isolation, Letitia was not subject to the toil and privation of many pioneer women. As the wife of the chief officer of the company’s main supply depot, she enjoyed a privileged position. She was mistress of her own commodious, snugly furnished house and benefited from the services of a personal maid, Mary Clarke, who was an old family servant, as well as those of the company cook and butler. In the winter the gentlemen’s mess was held in Letitia’s dining-room, but during the hectic summer season, when Hargrave was so busy that his wife scarcely saw him, Letitia dined alone unless there were lady visitors. The fare, though monotonous and seriously lacking in greens, was plentiful, and even the women had prodigious appetites – a “usual dinner” for four ladies consisted of roast venison, three geese, four ducks, six plovers, a large Red River ham, potatoes, and mashed turnips or boiled lettuce. Letitia’s fashionable gowns excited astonishment at York Factory, but she adapted her wardrobe to include Indian “leggins” and moccasins. Hargrave saw that his wife was well wrapped in furs when she went for an airing on the wooden walkways in the fort, called platforms, or for a ride in her elegantly appointed dog carriole. During her years at York, Letitia was chiefly concerned with the welfare of her growing family. The birth of her first son, Joseph James*, on 1 April 1841 created a sensation. The Indians flocked to see the new baby and the women were delighted to be able to kiss him, exclaiming “Very fat! Very white!” Letitia persuaded Hargrave to have a nursery, an unknown luxury at fur-trade posts, built on to their house with the advent of her second child. The death of the little boy shortly after his birth in December 1842 was a grievous blow. His mother found solace in the thriving health of her eldest and a daughter, Letitia Lockhart, born on 24 Oct. 1844. By the mid 1840s Hargrave was hoping to move his family to a more congenial clime since both he and his wife suffered from ill health. In 1846 they went with their children to Scotland where Letitia received skilled medical treatment in Edinburgh, and returned to York Factory the following year. Letitia deeply missed her son, who had remained at school in Scotland, but she was soon diverted by another daughter, Mary Jane, born 11 July 1848. With the anticipated transfer continually deferred, Letitia became despondent, seeing her husband worn out by his heavy duties at York Factory and the prospects of the trade fast declining. Before the birth of their fifth child, Dugald John, in September 1850, the Hargraves received confirmation of a transfer to the company depot at Sault Ste Marie, where more civilized amenities would be available. 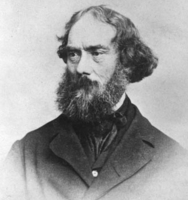 Hargrave left York for his new post in the summer of 1851 but considered the overland journey too strenuous for his family and arranged for them to leave on the HBC’s fall ship to Britain. Letitia enjoyed the reunion with her family and placed her eldest daughter, “Tash,” in school with Joseph James at St Andrews. Hargrave wrote to her of the charms of the Sault, advising on purchases for their new home and for Letitia herself: “a fine silk velvet gown worthy of being worn by such a wife as you have been to me.” Letitia and her two youngest children were met by her husband in New York in the summer of 1852. Two years later the Hargraves’ domestic happiness was shattered when Letitia died of cholera, then epidemic. Hargrave left his post, without waiting for permission, to take her body to Toronto for burial at St James’, the nearest consecrated cemetery. The correspondence of Letitia Mactavish can be found in the Hargrave papers at PAC, MG 19, A21, ser.1, 27. Most of the letters have been published by the Champlain Society in Letters of Letitia Hargrave, intro. by M. A. MacLeod. PAM, HBCA, B.239/a/154, 157, 161, 168, 179; D.5; E.12/5. Hargrave, Hargrave corr. (Glazebrook). Helmcken, Reminiscences of Helmcken (Blakey Smith and Lamb). I. 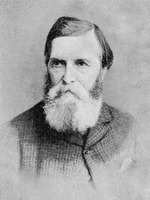 [G. Simpson] Finlayson, “York boat journal,” ed. A. M. Johnson, Beaver, outfit 282 (September 1951): 32–33. M. A. MacLeod, “Fur traders’ inn,” Beaver, outfit 278 (December 1947): 1–6; (March 1948): 28–31. A. A. W. Ramsay, “The letters of Letitia Hargrave,” Beaver, outfit 271 (June 1940): 18–19; (September 1940): 37–39. Sylvia Van Kirk, “MACTAVISH, LETITIA,” in Dictionary of Canadian Biography, vol. 8, University of Toronto/Université Laval, 2003–, accessed April 18, 2019, http://www.biographi.ca/en/bio/mactavish_letitia_8E.html.